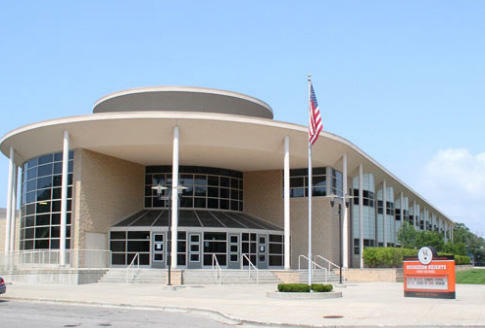 Muskegon Heights, MI: The accounting firm of Vredeveld Haefner LLC has completed their audit field work and draft financial statements document and concluded that the Muskegon Heights Public School Academy System has ended the 2017-2018 school year utilizing $112,980 out of general fund fund equity, resulting in an approximate 14% general fund fund balance as a percent of 2017-18 expenditures. The original 2017-18 budget anticipated utilizing $540,211 of fund equity in order to purchase new curriculum, resources, and implement critical aspects of the Partnership Agreement with the Michigan Department of Education. New grant funding covered the difference between the original budget and final expenditures. “The tide is turning, and we are excited for the future of Muskegon Heights’ students and community!” said Kilgore. Superintendent Garcia shared that the increase in fund balance is largely due to additional grant funding. “The 2017-18 budget was developed to provide greater supports to students and teachers through new curriculum, supplies, and coaching supports. The MHPSAS Board supported using a portion of the fund balance in the original budget, knowing these new expenditures are necessary for our students to make academic progress. During the course of the year our administrative team sought and received several grants to help reduce the impact on the fund balance,” said Garcia. “I am proud of the work of our team,” she added. “Muskegon Heights is an amazing place to work,” stated Superintendent Garcia. “There are clear indicators of success: a sound fund balance, increased academic achievement and the installation of a new playground for our students and our community on October 16 at Dr. Martin Luther King, Jr. Academy. We are fortunate to have the support of families, community members, local, and statewide partners; all who want the best for Muskegon Heights’ students,” said Garcia.